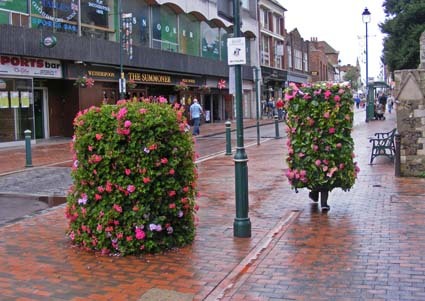 A replica flower planter was placed in Sittingbourne and participants were invited to wear/use the object whilst walking along the high street. The work had windows similar to a pillbox for surveillance purposes, shoulder straps and was lined in satin for comfort. This participatory performance was part of ‘Re:bourne’ Art intervention in Sittingbourne High Street.